Let no debt remain outstanding, except the continuing debt to love one another, for whoever loves others has fulfilled the law. The commandments, “You shall not commit adultery,” “You shall not murder,” “You shall not steal,” “You shall not covet,”and whatever other command there may be, are summed up in this one command: “Love your neighbor as yourself.” Love does no harm to a neighbor. Therefore love is the fulfillment of the law. Love for one another is the only debt that we should leave open. I saw this being lived out yesterday at our Dream Center. We had the opportunity to meet Steve. Steve had been given up on by almost everyone in society. 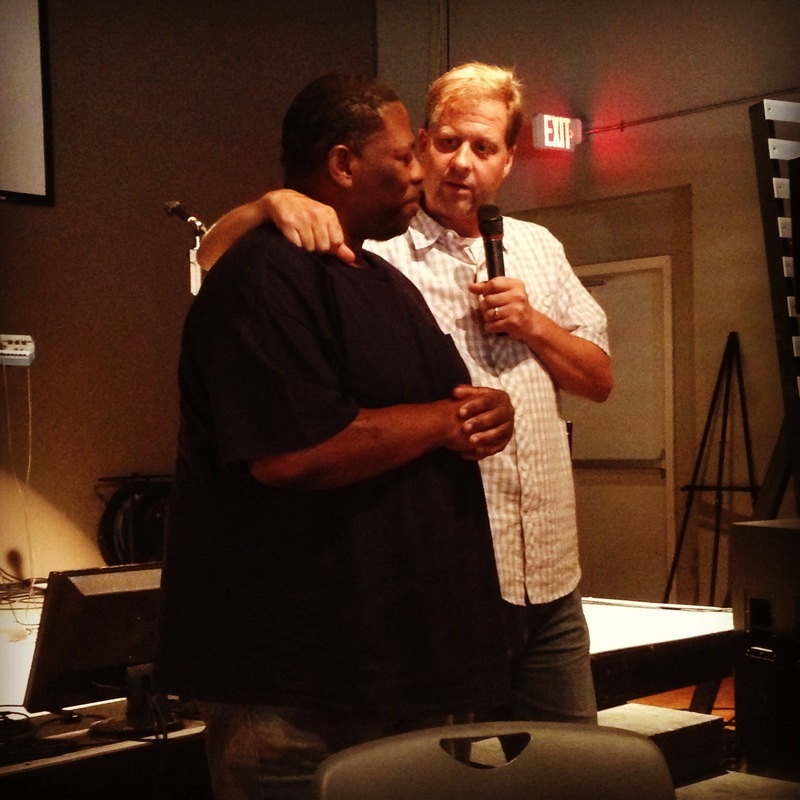 He was a drug dealer headed to a life in prison when someone decided to love him. Steve said that what the Dream Center is doing for him and others is not normal. I saw another example of this played out as I watched Dino Rizzo being restored back into ministry at Church Of The Highlands last week. How many pastors do we see kicked to the curb because of a mistake in life? What I saw happen as Chris Hodges showed unconditional love to another leader who has been broken is not normal. As the Church, we have the platform to change the status quo of how we treat the broken and forgotten. The Bible says that all commands can be summed up with grace and love. How are you going fulfill that today? What am I going to do? Posted on August 14, 2013, in Uncategorized. Bookmark the permalink. Leave a comment.